Toothy fish love to short-strike baits and leave you with nothing. 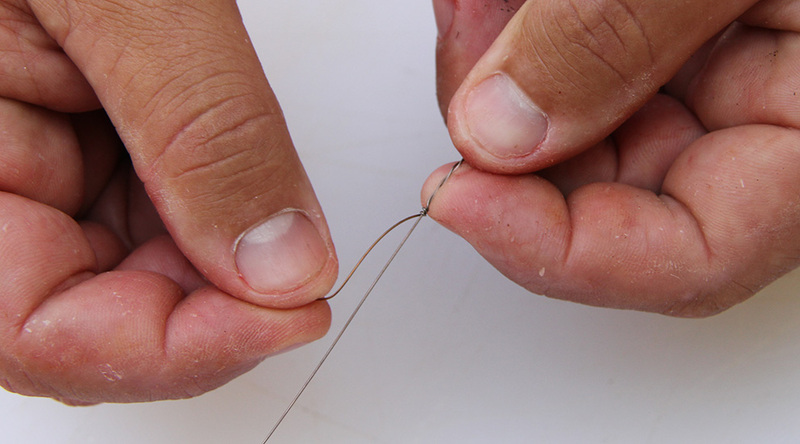 Adding a treble hook to your live bait rig with a trace of wire (dead bait shown for illustration purposes) increases your hook-up ratio. 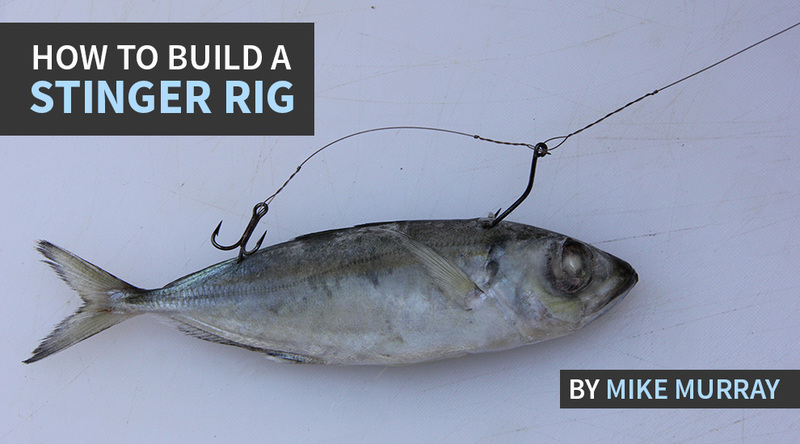 This rig can be used when drifting, slow trolling or fishing a live bait under a kite. The IGFA does not allow the use of treble hooks, so if you're fishing for a world record, you won't want to use this particular rig. 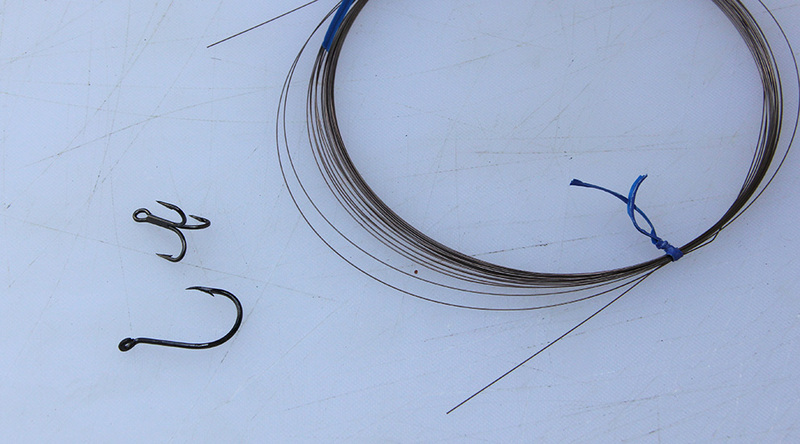 But if you're looking to catch a toothy critter, this rig works great. 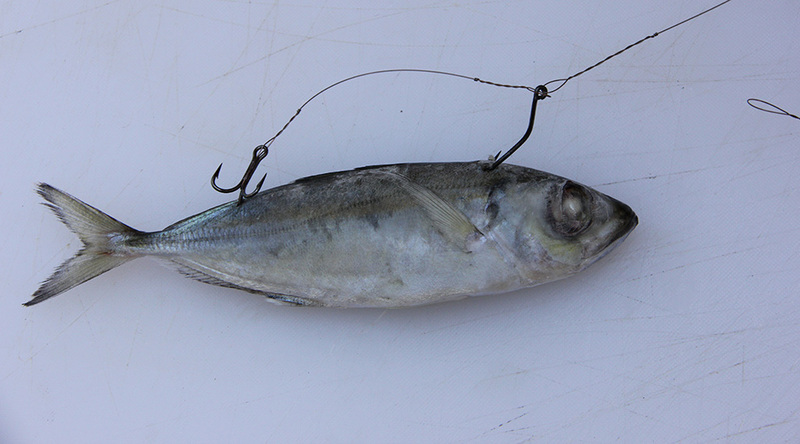 MATERIALS: A 2/0 to 4/0 Octopus-style hook (sized to match the live bait), a treble hook, #3 to #5 wire and a live bait such as a goggle-eye, menhaden or herring. 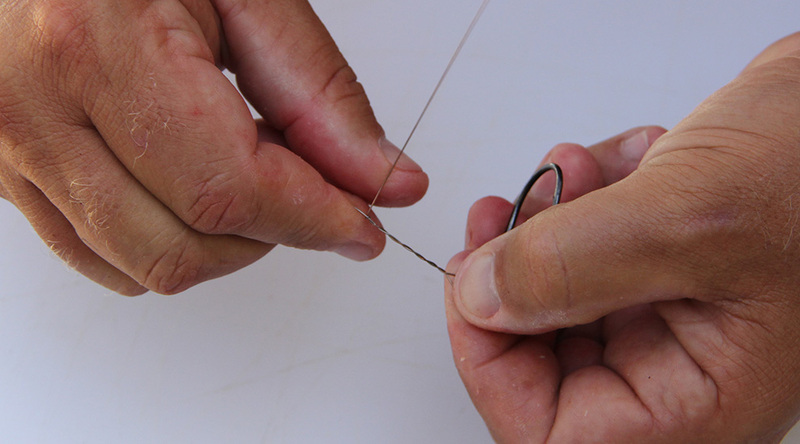 Thread your treble hook onto the wire, leaving about a 6-inch tag end. 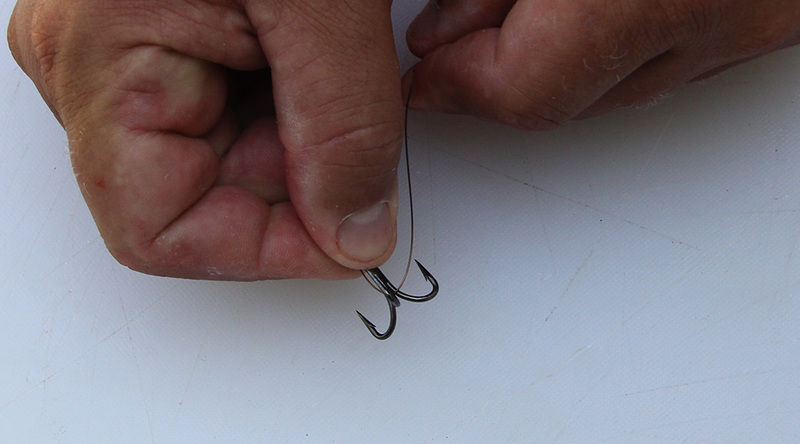 Run the wire around the bottom of the treble hook and back through the opposite side of the hook eye. 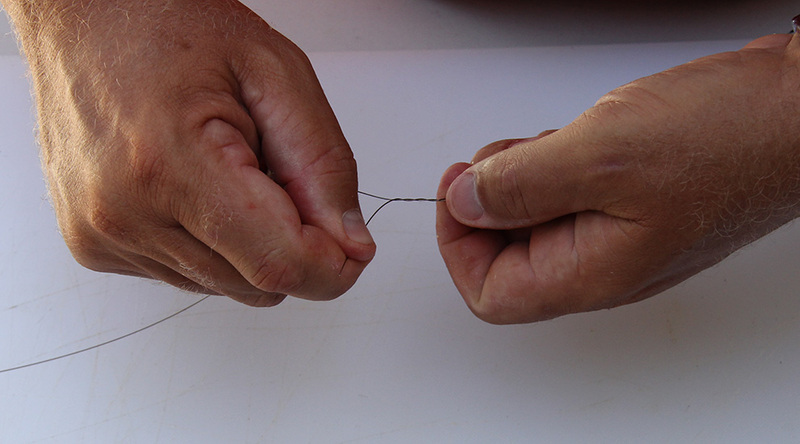 Form a haywire twist by making three long wraps then three tight wraps around the main wire. 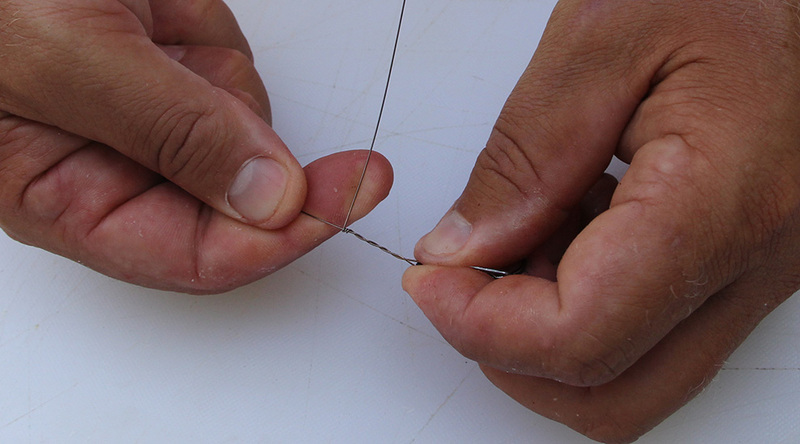 Bend the tag end back against itself to snap off the wire cleanly without leaving any sharp edges or burrs. Add the main hook to the other end of the wire section. 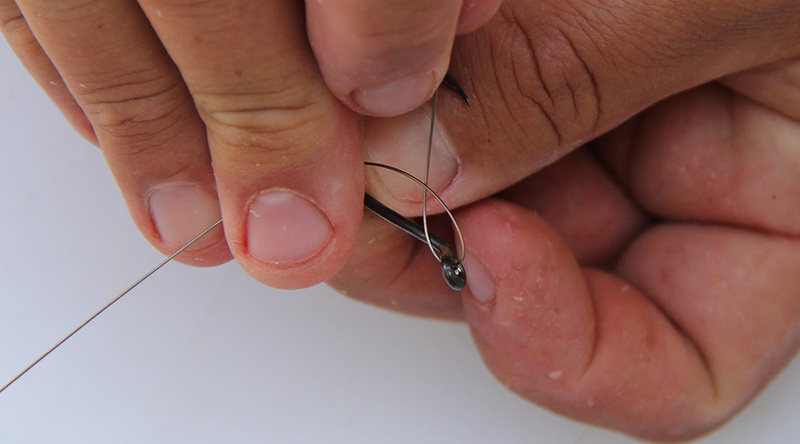 The spacing will vary depending on the size of the live bait. 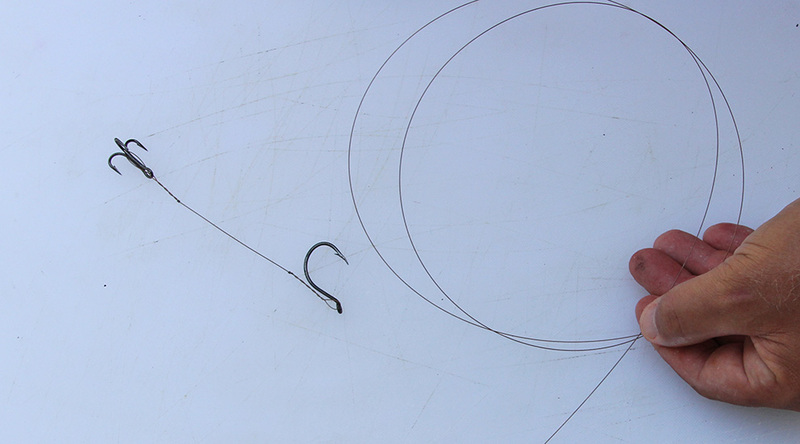 Loop the wire around the eye of the lead hook to start your haywire twist. Complete the haywire twist and cleanly break off the tag end. Now that the stinger section is complete, measure out your desired length of main wire leader. 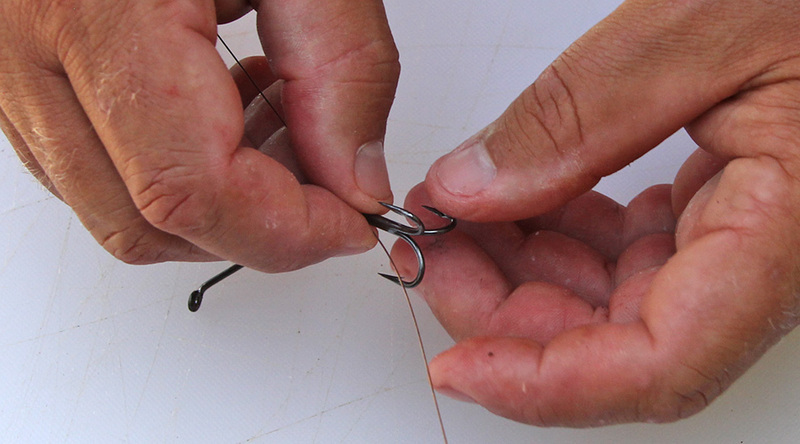 Attach the leader to the eye of the lead hook using a haywire twist. Use a haywire twist in the other end of the leader to form a loop which will connect to the main running line. This completes the rig. 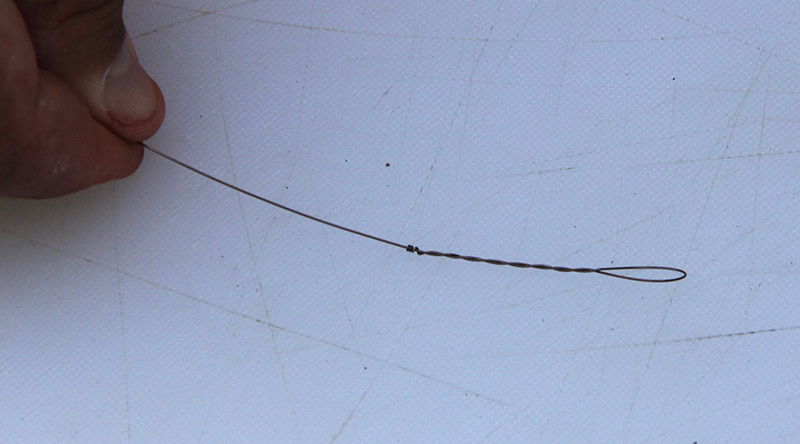 Rig up your live baits by hooking the lead hook through the back of the bait and the stinger hook in the tail as shown. 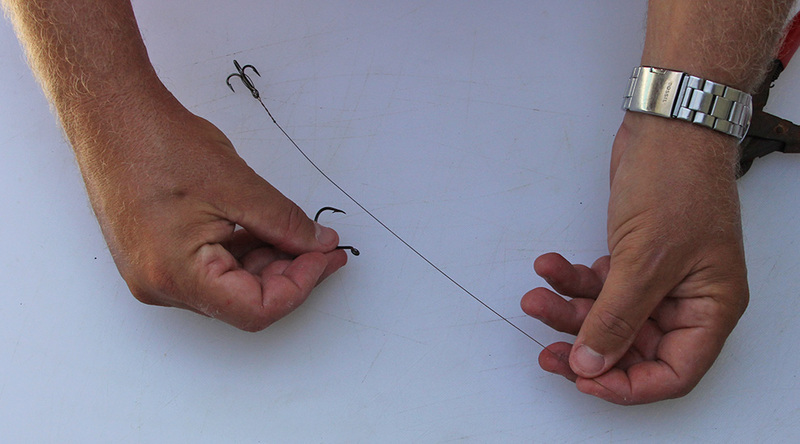 Be sure to leave some slack between the lead and stinger hooks to allow your bait to swim freely.